The dog-days of summer are over and the days are getting cooler and shorter. But that doesn’t mean our summer has come to an end. There is still time for one last backyard barbecue. We are doing up some Easy Barbecue Pork Ribs with a little heat and a lot of flavor. 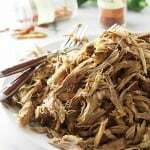 Many years ago, our friend and neighbor, Jim, shared his method of cooking ribs that produce juicy, tender and succulent ribs that are to die for. First, they are cooked in the oven, low and slow for a couple hours and then transferred to a low-heat grill, sauced up and grilled. That sounds easy enough, right? It really is! The dry rub we are using on these ribs is our own combination of flavors. It is pretty basic with all the standard spices but with a dash of chipotle powder to give it some heat. And, we love the unique flavor that the smoky paprika brings to the party. Give the ribs a good rubbing over both sides so they get those awesome flavors into all the nooks and crannies. Everybody and their uncle has a preferred barbecue sauce whether homemade, store-bought or store-bought and doctored up. We suggest that you use whatever sauce you like best for your ribs. Have you ever tried, unsuccessfully, to remove the silvery papery membrane on the underside of the ribs? This is how to do it. Just slip a dinner knife between the membrane and a rib bone at one end of the rib slab. Stretch the membrane loose and up until it tears. It is slippery so hold it with a paper towel and just peel it off. Sprinkle both sides liberally with the rub mix to get some flavor in there. 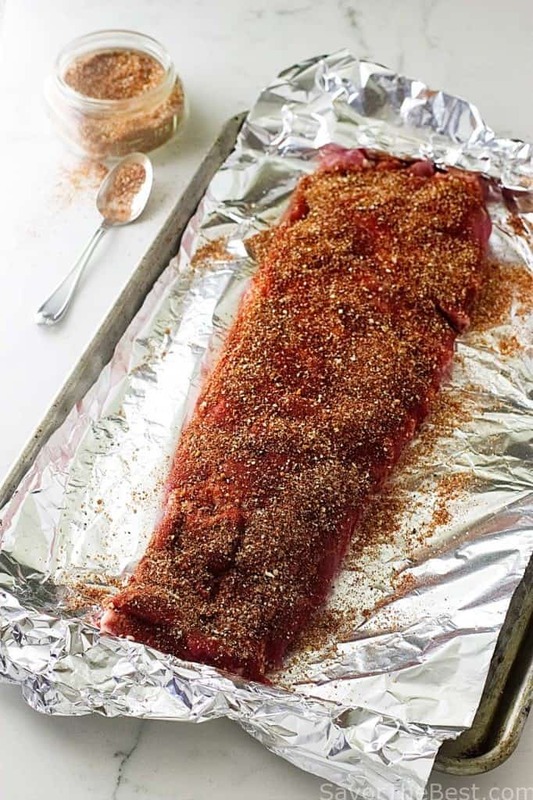 Wrap the slab of ribs in foil. Crimp the foil edges together and place onto a baking sheet. Transfer the baking sheet to a preheated 250°F oven for two-one-half hours until tender. But not so tender they are falling off the bone! You need those bones to hold on to while you munch up these ribs. No forks allowed! Just before the oven time was up we prepared a charcoal grill to a medium heat. Unwrapped the ribs, lightly slathered one side and transferred them to the grill and grilled it for five minutes. The top side was sauced and flipped over for a five-minute grilling. We repeated the saucing and grilling one more time watching for a deep brown crust to form on the ribs. It is important to not get the grill too hot as once the sauce goes on the ribs, the sugar in it will begin to burn if the heat is too hot. These ribs are finger-licking good! We served these easy barbecue pork ribs with yummy baked beans. Easy Barbecue Pork Ribs with a little heat and they pack a lot of flavor! Tender and succulent ribs that are finger-licking good. First they are cooked low and slow for a couple hours in the oven. Next they are transferred to a low-heat grill, sauced up and grilled. Remove the silvery membrane from the underside of the ribs by sliding a table knife between the membrane and a rib bone. Pry the membrane up, stretching until it tears. Holding one end of the membrane with a paper towel, peel off the membrane and discard. In a small dish or canning jar, add the dry rub ingredients and combine thoroughly. Place the rack of ribs on a large sheet of aluminum foil and liberally coat each side of the ribs. Place another sheet of foil on top of the ribs and seal the two sheets of foil together by crimping them tightly at the edges. Set the foil covered ribs on a large baking sheet and transfer to the center rack of the oven and bake for 2 1/2 hours. Remove from the oven and partially unwrap the foil to check for doneness. Insert a fork into the meat between the bones at the thickest part of the ribs. If it slides in easily with little or no resistance your ribs are done. If there is resistance, re-cover with the foil and give them another 15 to 30 minutes more oven time. When ribs are tender, remove from the oven and allow to rest while the grill is being prepared. Remove and discard the top sheet of foil and brush the exposed side with a light brushing of the barbecue sauce. 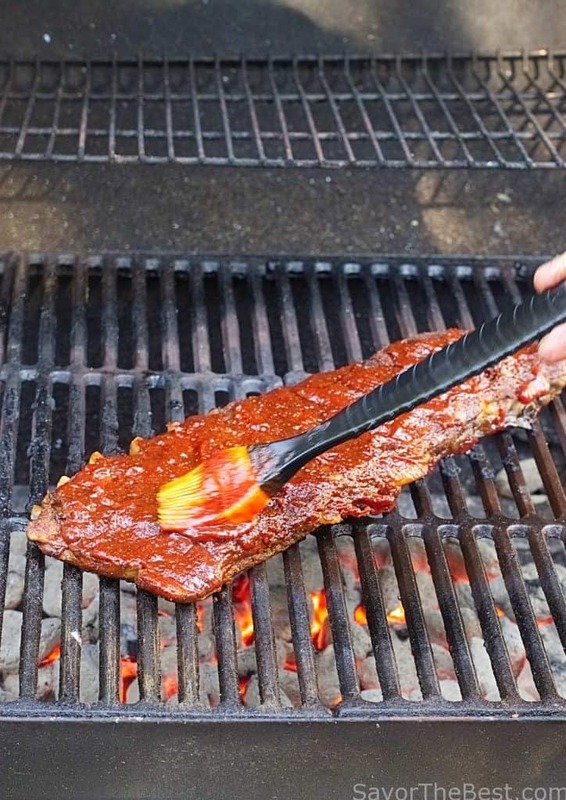 Transfer the ribs to the grill with the sauced side down and brush the exposed side with a light coating of the sauce. Grill for 3-5 minutes and flip the ribs over and grill another 3-5 minutes. Repeat this process once more, saucing and grilling until desired degree of color has been achieved being cautious that they do not burn. 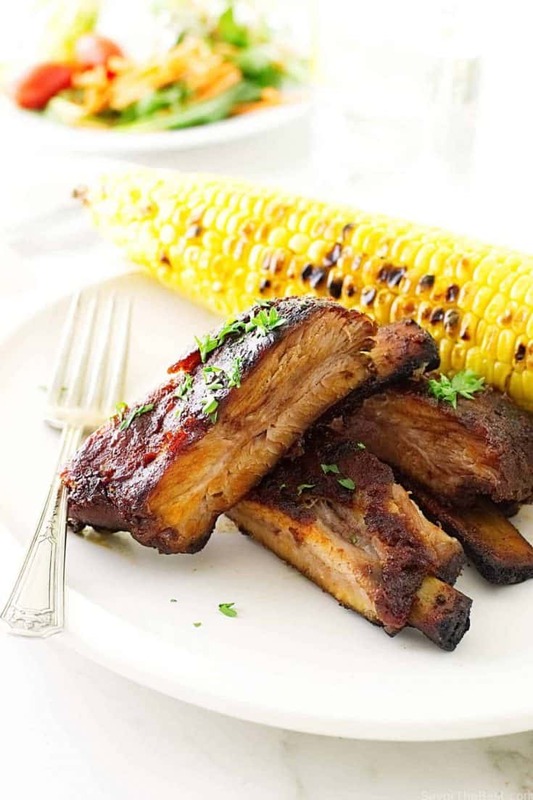 Remove the ribs from the grill, cut between the ribs into serving pieces and enjoy. Ribs are meant to be eaten by holding on to the bone. If the ribs are so done they are 'falling of the bone' they are over cooked. These ribs can be enjoyed in the dead of winter when the outdoor grill is covered with snow. Simply slather on the sauce and finish them under the broiler. 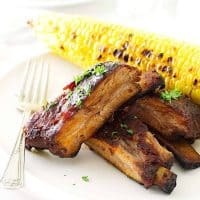 Serve these easy barbecue pork ribs with grilled corn on the cob, baked beans and a crisp green salad. I can never say no to barbeque. 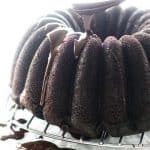 I am glad to read this post and find your recipe. It is very time and I Will definitely prepare this next weekend for our party. Thank you, Sheila! I am also happy that you found our recipe. 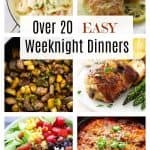 These are real easy to prepare and I promise that your guests will love them! I never knew that these would be so easy to make. 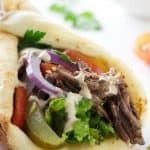 My husband always orders them when we are out, so maybe we should try making them ourself! That’s a beautiful rack of ribs. Love the use of chipotle powder in your rub! Paprika and chipotle sound like great additions to a rub! These ribs looks amazing. Oh, they were so good! Really meaty and the flavor was wonderful! 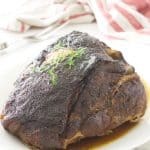 This is something new to me, I love BBQ recipes but have never tried anything this way. Love the Oven and grill combination, for sure it’s gonna be yummy!!! 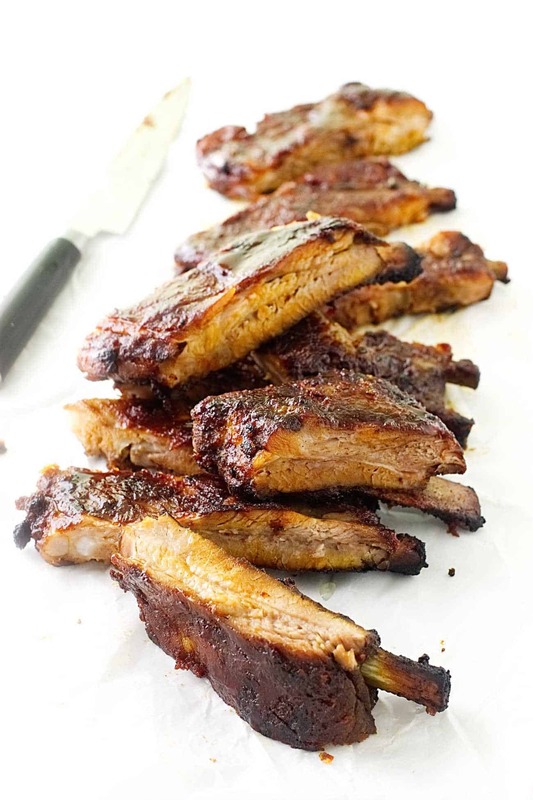 This is my favorite way to cook ribs in the summer because they come out so tender and juicy. And this rub sounds delicious! These sound fantastic. I love BBQ ribs. I’m so glad we still can use our grill. Will be making these ribs soon! 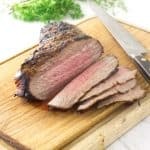 That dry rub sounds so flavorful! Love grilling season. It’s always good to keep a recipe like this handy. I’m going to share this with my meat-loving husband! 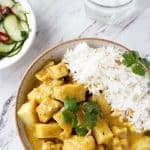 A very detailed description and great pics, thanks for sharing this recipe. Thank you, Jagruti…they are delicious! We just got back from our annual Hudson Valley ribfest visit and my son has been begging for more, so this is perfect timing! These look nice and easy – will be trying them out this weekend! Oh yum! How perfect for a Labor Day bbq! Thank you, Patty…If it is going to be a hot day then get them in the oven early in the morning while the kitchen is cool, reheat them on the grill.